Trying to figure out if our diecuts are what you need? 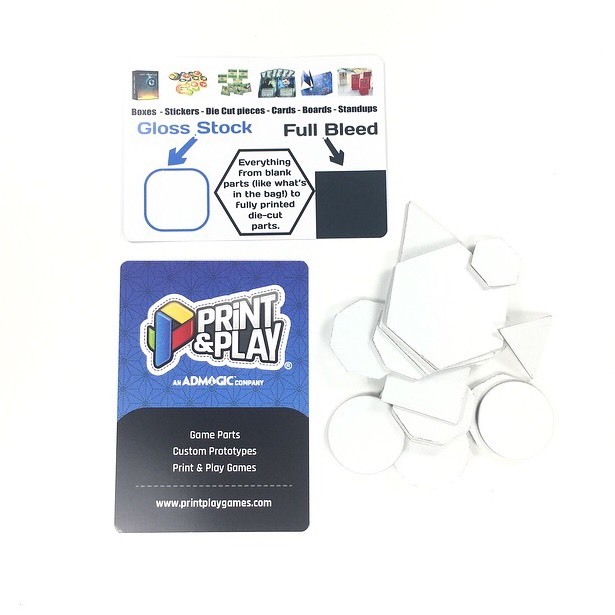 Get a sample of our blank die cuts shipped to you! You will receive a 5" x 5" baggie with an assorted collection of our most common die cuts. Pictured diecuts are a representative of what you will receive. Not all sets will be the same. Want a handshake with that? Find us at your next con!